White House closely monitoring attempts by Europe to build channel with Iran to evade US sanctions, warns that US is prepared to punish EU. The US is prepared to punish any attempt to circumvent the Trump administration’s sanctions against the Iranian regime – including Europe. That’s the message White House officials are conveying to European allies, according to a report by the Associated Press. The Bush administration, with the help of European allies, built a comprehensive sanctions regime against Tehran over Iran’s nuclear program. As part of the 2015 Iran nuclear deal, however, the signatories offered Tehran sanctions relief, allowing much-needed foreign currency into inflation-ravaged Iran. 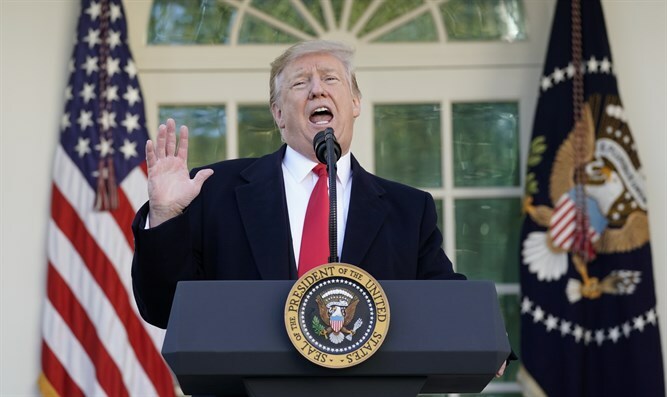 Last May, President Trump withdrew the US from the nuclear deal, reimposing wide-ranging economic sanctions on Iran in November, despite protests from the deal’s European signatories. The European Union has vowed to circumvent the American sanctions, and is currently in the process of establishing a back-door channel for businesses to conduct transactions with Iran while evading the US sanctions regime. “I hope that we can announce the launch very soon,” said European Union spokesperson for Foreign Affairs Maja Kocijancic last week. But the White House is warning the EU that the US will not tolerate efforts to evade sanctions on Iran, and will not hesitate to punish violators. A senior Trump administration official told AP that the US is determined to enforce the Iranian sanctions regime, and will hold any individuals or entities involved in circumventing them responsible.